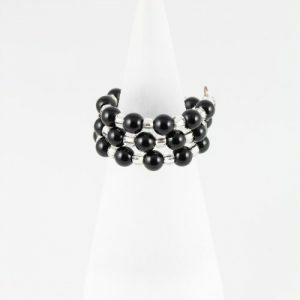 Black Agate ring – handcrafted with memory wire and black Agate beads. 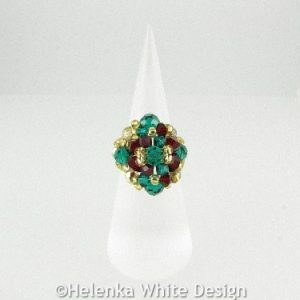 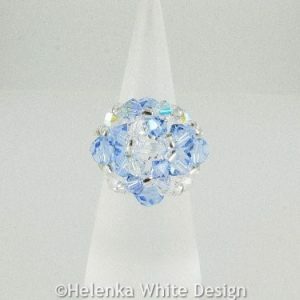 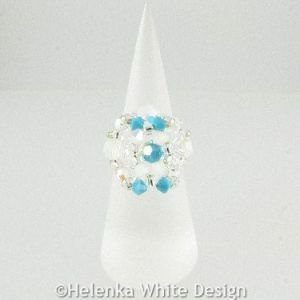 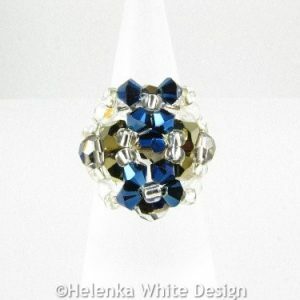 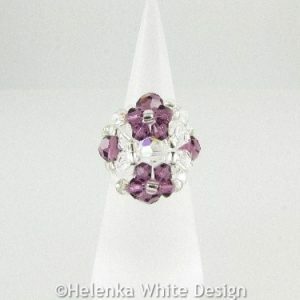 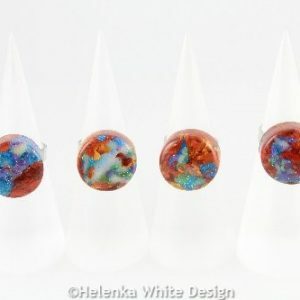 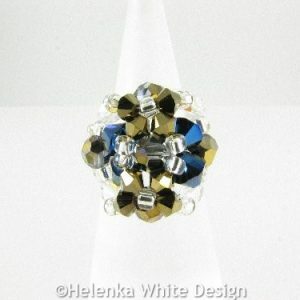 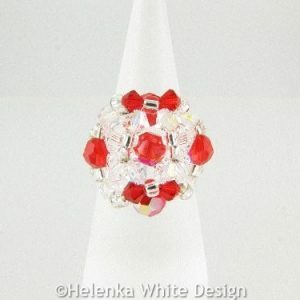 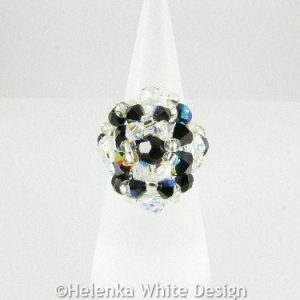 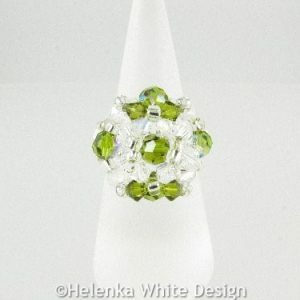 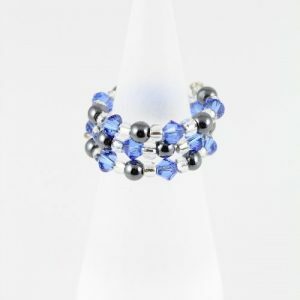 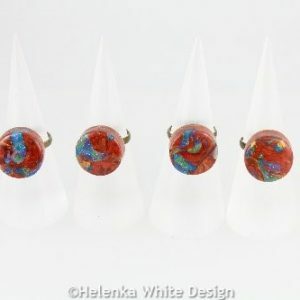 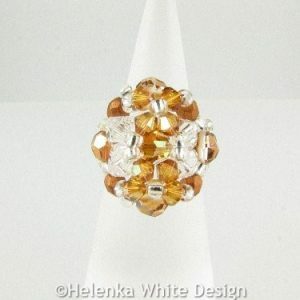 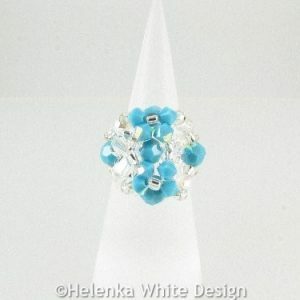 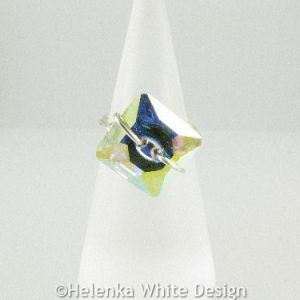 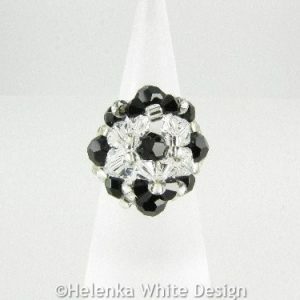 Swarovski square button ring – handcrafted with a Swarovski square button crystal and anti-tarnish silver plated copper wire. 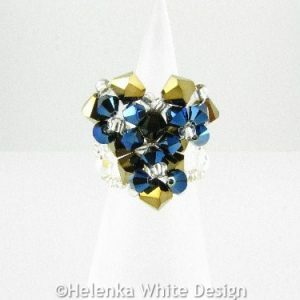 Available in UK size M and O.